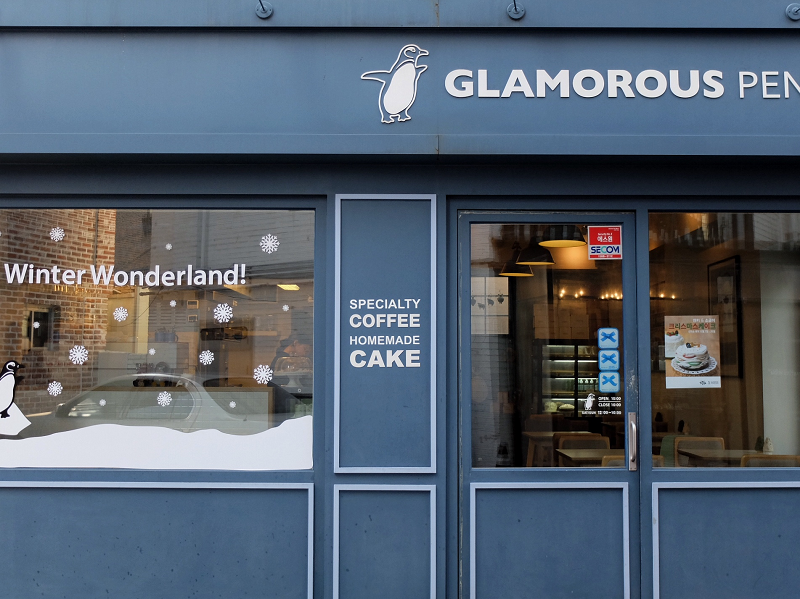 Maybe should I have called this new post Apology for another hiatus, with capital letter H, you would have forgiven me for once again having been away from any kind of social plateform and human interaction – cough cough – I mean, from here. I guess it's time to tell you that my ''I'll try to post more often'' sometimes sounds like a ''I'll start my diet tomorrow'' that we all know becomes a Monday and soon a never. But finals being over, sun shinning outside and sorbet season waving at me, I'm finally back with a lot of new ideas for this blog. Before summer comes for real and hit us with its hot sunbeams, I wanted to share with you some summer must-have. Put aside workouts and diet tips, it's about keeping your skin healthy and protected from UV, heat, and sweat. Yes, them less glamorous parts of summer. So to enjoy sunbathing, ice cream and BBQs nights, there are some basics to add to your suitcase – in other words, magic products which make your life cooler. Here are my 5 Skin Essentials sidekicks to keep a fresh and hydrated skin this summer. Remember that thick, creamy sunscreen we had to apply when we were 6 because mum obliged us to? I wasn't a big fan of it. Then, I understood that sunburn is no fun at all. The best way to protect your skin from sunbeams is to have the appropriate sun cream and re-apply a little amount every two to three hours. Even if you're only getting out for an hour or two, it's better to put some at least on your forehead, nose and cheekbones. Don't forget that clouds don't stop the UV, so apply some even on cloudy days during hot summer. I'm using two sunscreens, because of their different textures and different use. The first one, Perfect Water Essence from Japanese brand Sunkiller, is a SPF 50+ water gel type sunscreen that I use for face all year long, not only in summer. It has a very light, not heavy watery texture the skin absorbs perfectly, and is not sticky which is a big plus to feel comfortable. It gives a fresh touch and leaves a very ligh scent, and comes up in a small blue packaging (20g) that make it easy to carry around. 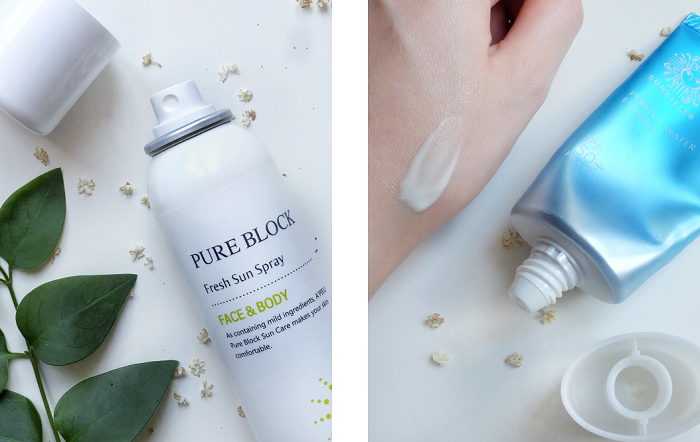 The second sunscreen I use is the Pure Block Fresh Sun Spray from the Korean brand A'Pieu. It's a SPF 50+ bottled aerosol (210ml) that takes some space in the bag but is very convenient to use. As it is a dry type, you don't need to spread anything, you just spray it all over your face or body. I personnaly only use it on neck, arms and legs, but it definitly saves time compared to a cream type sunscreen when you're about to leave home. We're often told that it's important to drink a lot in summer, to keep your body hydrated. But it's also as important to keep your skin well-hydrated, and here comes the handy, easy-to-go, water sprays and facial mists. Basic mineral water spray is the quickest solution to give your face a dewy, radiant look, but talking about moisturizing, it actually doesn't always do the job. It might sometimes make your skin even drier because of evaporation. Facial mists them contain extra-ingredients - essentials oils, natural ingredients suitable for skin prone to redness, or even anti-aging agents – that moisturize and refresh your skin. Plus they tend to have fruity or floral fragrances, which is perfect for spring and summer. I always have a small bottle of Evian: Mineral water spray at home, either is it to spray it on my face or on sofa scratching cat. I use it mostly as a refresher to cool my face when it's too hot and you feel like a tortilla during long car journey, or to have a dewy look when applying makeup. It gives a more natural, baby skin look to spray one or two times after foundation, or at the end to lighten the finishing powder. Family gatherings, late BBQ parties, endless movie dates and Bruno Mars lazy song atmosphere. Yes, you're not the only one to end up passing out without putting lotion. But skincare doesn't always mean 10 minutes standing in front of mirror and wearing a mask during another 20. 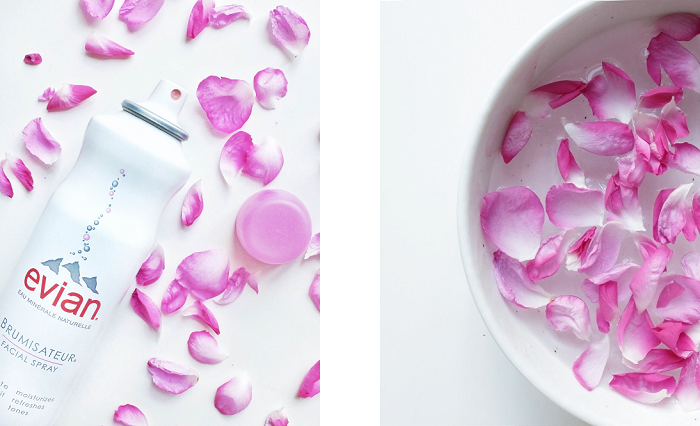 After cleansing, just apply a hydrating cream (light, watery type is better) or simply a toner to moisturize your skin. Then, spread a sleeping pack on your face. Tadah. Less than 3 minutes, right? You can now lay down on bed and let all the good ingredients get into your skin while sleeping. It won't replace a correct daily skincare routine, but it's always a good solution once or twice a week when you're feeling too tired. 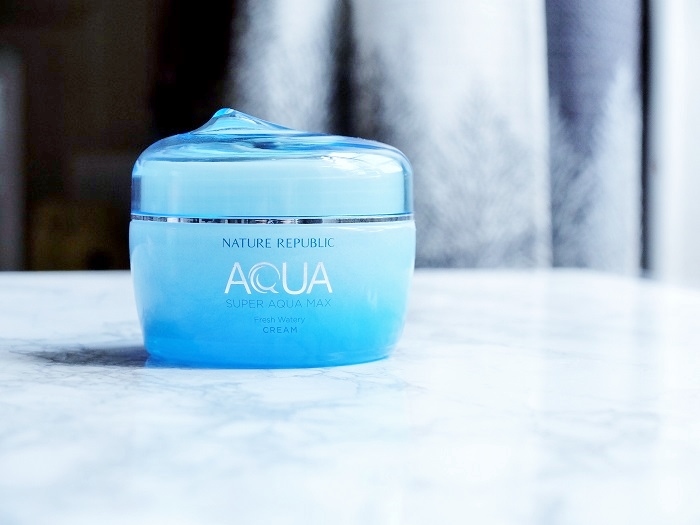 Nature Republic's Super Aqua Max line is among my favorite skincare products. 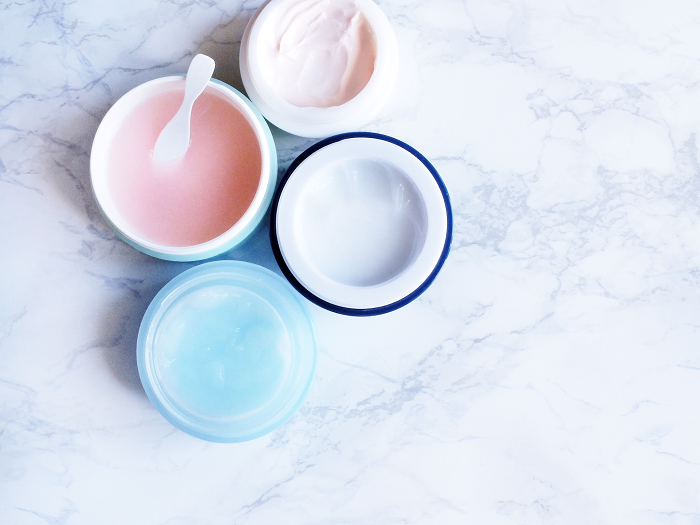 They come up in three different colors - blue (oily skin), green (combination skin), red (dry skin) – and for different uses – cream, toner, essence. Even if I'm thinking of getting a LaNeige skin toner, I'm cherishing my bottle of combination aqua toner and will keep on using it. It gives a real moisturized feeling and the watery texture makes it very light. Plus, it leaves a pleasurable scent on your face. For the cream, I got by mistake the oily skin type one, so instead of using it for skincare, I mix it with foundation to make it less heavy, and apply on the more oily zones (T-zone). For sleeping packs, I'm using Holika Holika Pig Collagen Jelly Pack. It has a real wiggling jiggling pink jelly texture, and the collagen inside helps holding moisture in. Waking up, your skin will have a plumping look, hydrated and firm. 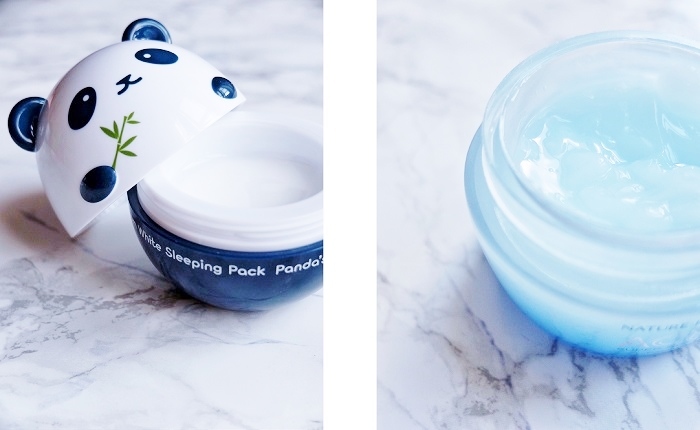 I also tried Tony Moly Panda White Sleeping Pack. It has a light, creamy texture and a sweet floral scent, and hydrates well without giving a greasy touch when waking up. Oil is definitely skin's biggest enemy in summer. It is necessary to protect our face, but never is it pleasant to have an excess of sebum. It makes you feel greasy, it makes your face shiny. Oil-absorbing sheets are easy to use, take it off in one wipe, but are not really convenient when you're in the train or during business meeting. 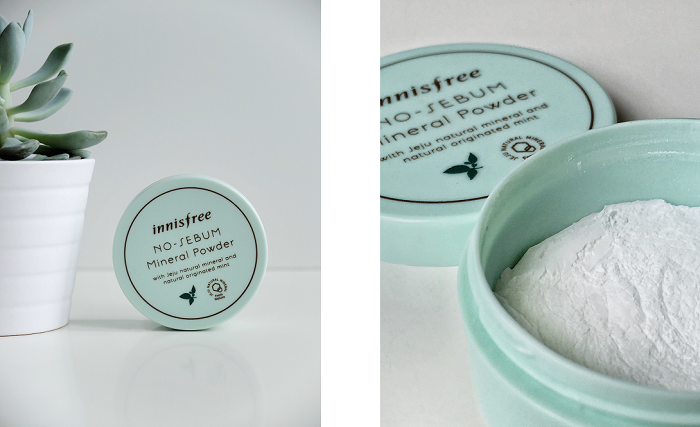 So here is a replacement for blotting paper: the No-sebum Mineral Powder from Innisfree. With natural ingredients, neat and pure packaging, affordable prices, good makeup and efficient skincare products, you can only love the brand. The no-sebum powder contains Jeju green tea, Jeju mineral powder and mint which all control the sebum secretion from over-secreting. It comes in a pastel green tiny jar or pact form with a thin puff, but it must be better applying it with a brush. 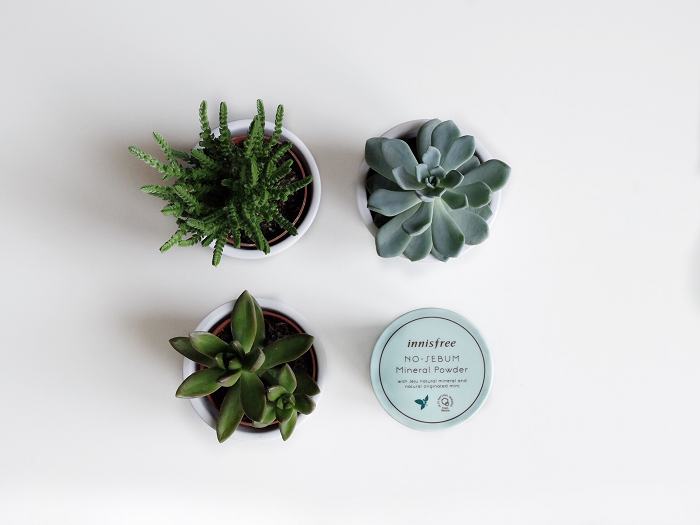 It has a fresh, minty scent, and fits any type of skin. Innisfree site indicates you can also use it as an eye primer, a finish powder, and even a supply to dry shampoo. After all, it consists in not letting the oil go. I use it mostly on my forehead and nose, as these are the areas that tend to get oilier throughout the day. I apply it in the morning, after blush, and it holds the whole day without problem. 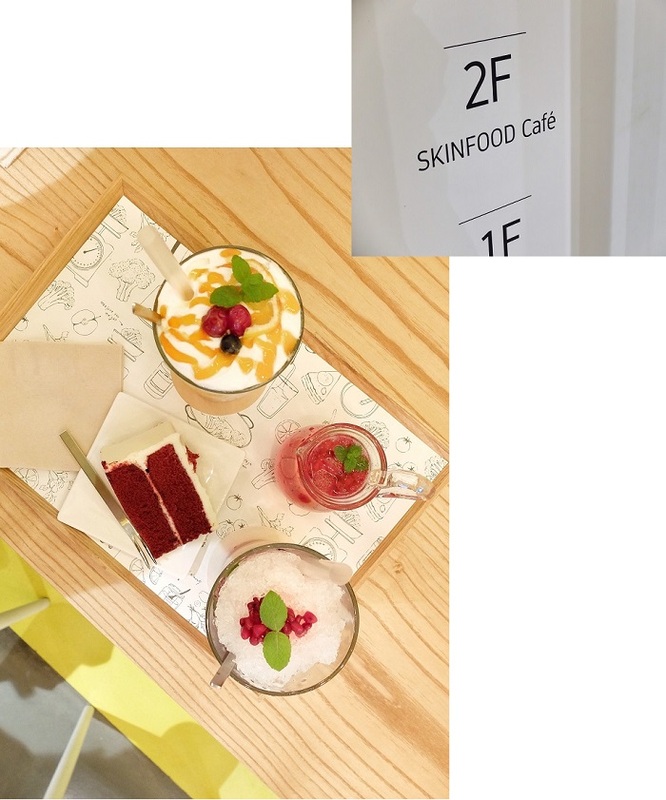 They also released a Blur Powder version earlier this spring, for a blurry photoshoped look, but the minty scent of the Mineral Powder definitly gives a fresher feel for summer. Last but not the least of these 5 Summer Essentials, sanitary products. Sun shinning, we spend a lot of time outside, playing games, eating on a terasse, leaving on a journey, so we should be prepared. Always carry a sanitizer, it is useful in any situation, from washing hands to refreshing, and even disinfect cuts. I love Nature Republic's sanitizers, because of their small size and their fruity scent, but drugstore ones are also good, as long as they kill bacterias. Now, for you who hates sweating, who feels uncomfortable because of it, who constantly want to shower, scented wet tissues are great sidekicks. They take off sweat in one wipe or two while deodorants will only mask it, and leaves an agreable feel. 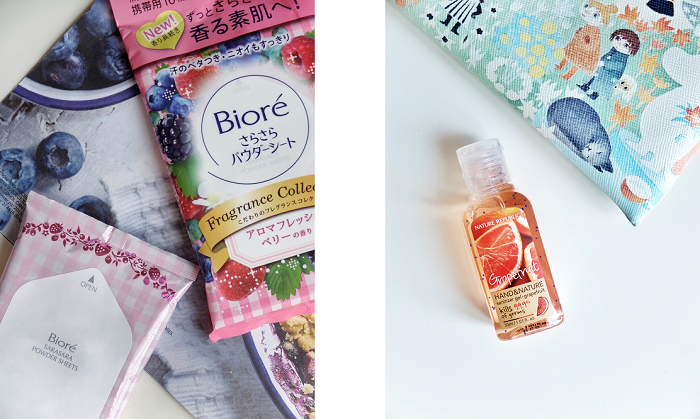 I personnaly use the Bioré Sarasara Powder Sheets, that actually are tissues and not sheets. Not only do they cover you with a sweet, laundry, lemon or berries scent, but the wet tissues have a superfine powder to avoid any stickiness on the skin. They come in a pack of 10 tissues, or you can find in a bigger box format to keep at home.